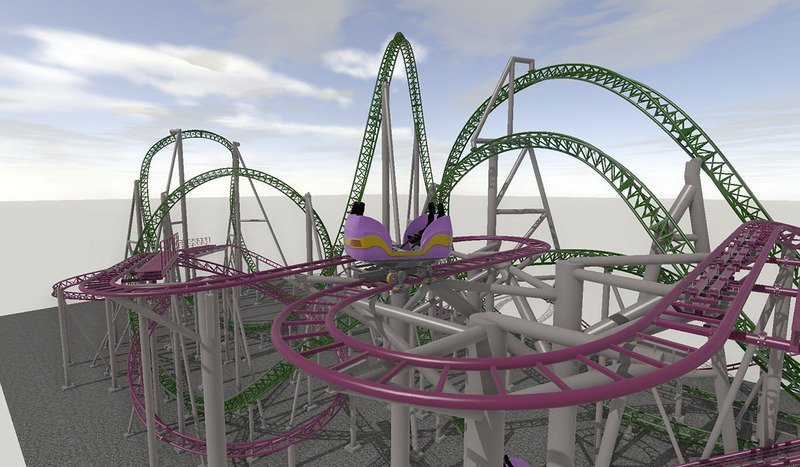 EAST RUTHERFORD, N.J., Nov. 2, 2017 /PRNewswire/ -- The indoor Nickelodeon Universe theme park at American Dream will feature two record-breaking roller coasters by Gerstlauer. They consist of an intertwined Launched Euro-Fighter with a beyond-vertical drop and a Spinning Coaster whose cars rotate on a vertical axis as they move along the track. "Featuring the best in family and adult entertainment, Nickelodeon Universe at American Dream has been designed to appeal to customers of all ages. 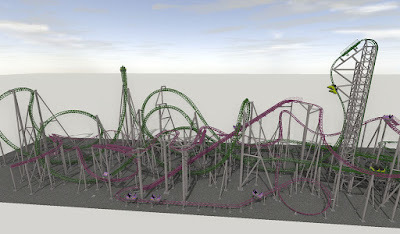 By working with the best partners in the business, our park experience will be highly themed and offer one of a kind rides by Gerstlauer," Don Ghermezian, President Triple Five. 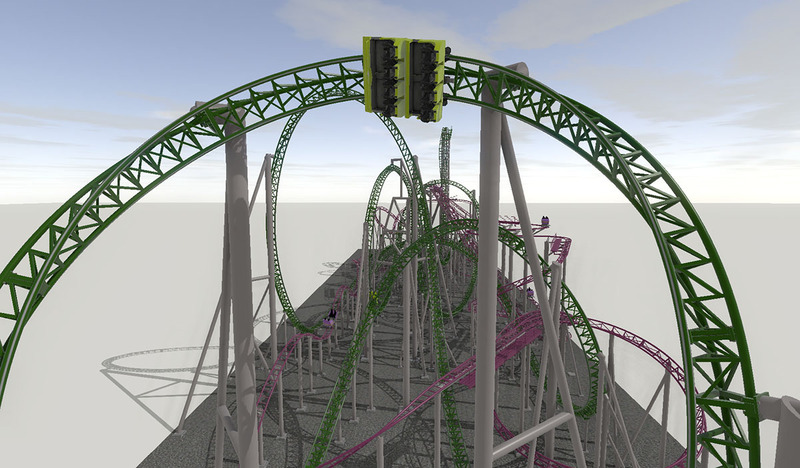 The Euro-Fighter boasts the world record for the steepest roller coaster drop, while the Spinning Coaster will hold the titles of the world's tallest and longest free spinning roller coaster. "These two coasters, appealing to thrill seekers, will break three world-records combined! 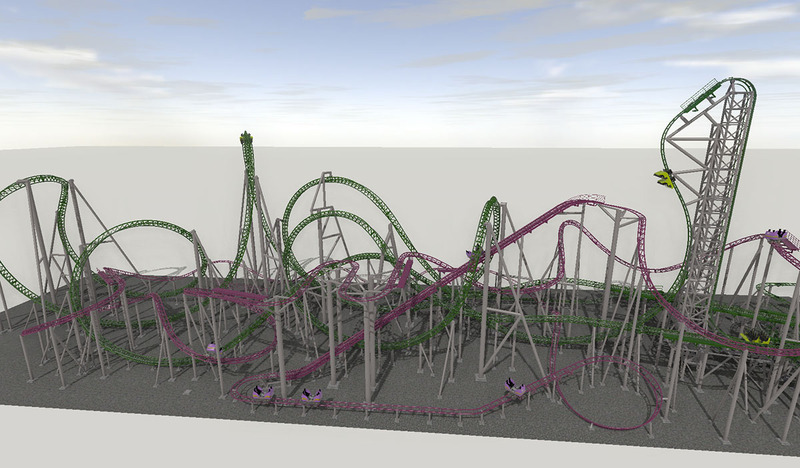 Gerstlauer has far exceeded our expectations with these new to market coasters and we're excited to have them on this journey with us," commented Gary Hanson, a management consultant at Triple Five. American Dream, a world-class retail and entertainment destination, is being developed by Triple Five Group of Companies, owners of the two largest shopping and entertainment centers in North America – Mall of America and West Edmonton Mall. American Dream is located in Bergen County, New Jersey at the Meadowlands Complex at the intersection of three major highways – I-95, Route 3, Route 120 - that service over 100 Million vehicles annually. American Dream is in the heart of the New York Metropolitan area with over 21 million residents and 62 million domestic and international tourists annually. The project is serviced by three of the largest airports in the US – Newark, LaGuardia and JFK International with 110 million travelers annually and is connected by passenger rail service to Penn Station New York. American Dream, opening in 2019, is approximately 3 million square feet. American Dream will redefine the customer experience in shopping and leisure with a unique combination of retail, dining, entertainment and attractions - all in one location. Anchor tenants Saks Fifth Avenue and Lord & Taylor -- along with over 450 retail, food and specialty shops -- are complimented by North America's largest fully-enclosed indoor DreamWorks Water Park and Nickelodeon Universe Theme Park; a 16-story Big Snow Indoor Ski & Snow Park; a live Performing Arts Theater; 285-foot tall Observation Wheel; luxury movie theatres by Cinemex; Sea Life Aquarium, Lego Discovery Center; NHL-size Ice Rink; and two 18-hole miniature golf attractions. The center also features The Collections – a luxury and fashion area in the property and The Dining Terrace – a collection of fifteen full-service restaurants showcased in one location in the center. 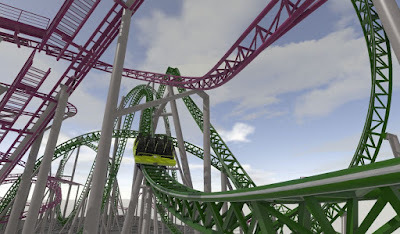 Gerstlauer Amusement Rides (GmbH) is a renowned German manufacturer of amusement rides located in Munsterhausen, Germany. 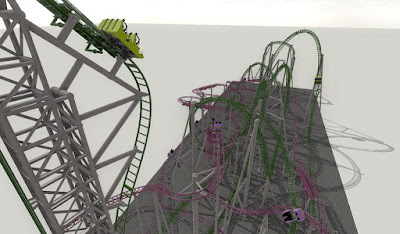 The company's decades of experience creating amusement rides makes Gerstlauer the manufacturer of choice for amusement parks throughout the world. Please go to https://www.youtube.com/watch?v=Op9dHHyUuFk&feature=youtu.be to view video on our latest Euro-Fighter. 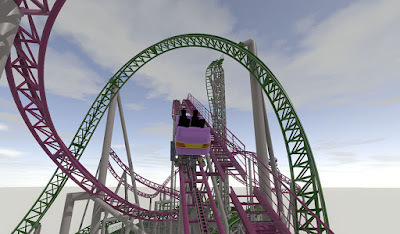 The spinning coaster will be similar to Gerstlauer’s Fairly Odd Coaster spinning coaster at Mall of America (but of course longer and taller). Nickelodeon Universe at American Dream was announced in September 2016. The 3-million-square-foot American Dream complex will open in 2019, but the exact opening of Nickelodeon Universe is not known. Both Gerstlauer and Ride Entertainment will be exhibiting at the IAAPA Expo in Orlando, Florida from November 14-17 2017. The Gerstlauer booth #4847 will feature a large scale model of the two coasters. Visitors can learn more about the experience at the Ride Entertainment Booth #5820. Follow NickALive! on Twitter, Tumblr, Google+, via RSS, on Instagram, and/or Facebook for the latest Nickelodeon Universe at American Dream News and Highlights!